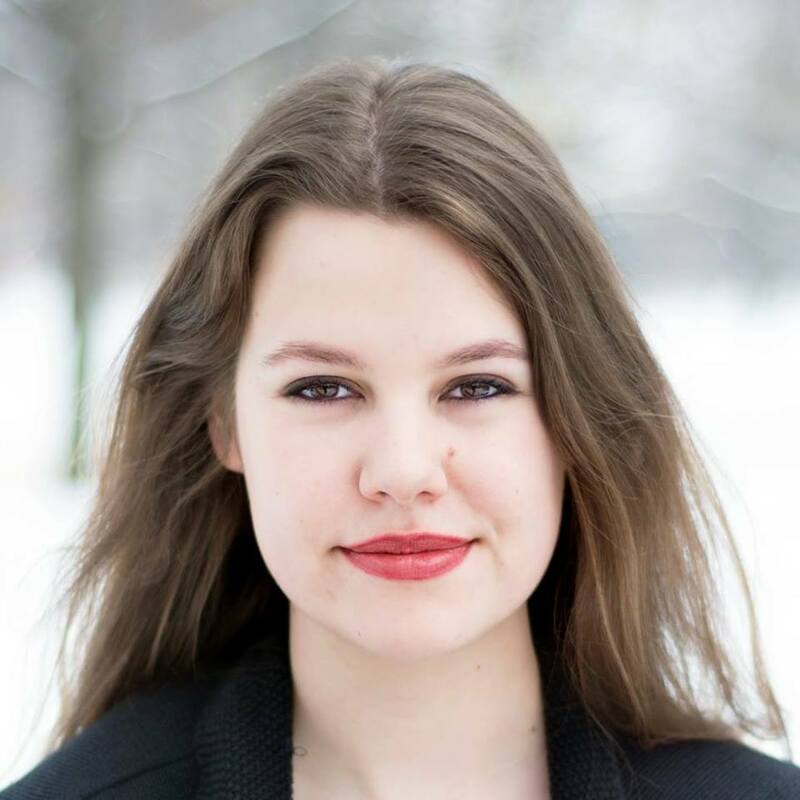 Today’s featured writer is Charlotte Ahlin, an actor and writer based in New York. Hello! I’m a writer, actor, and cartoonist from New York City. I graduated Oberlin College a year ago, and since then I’ve moved back to the city to pursue my dream of sitting in front of a computer all day, staring vacantly out the window. Right now, I write about literature for the Books section of Bustle.com, and I’m the associate artistic director of Fat Knight Theatre, a non-profit theatre company. I always knew that I wanted to be a writer. Somewhere in the depths of my hard drive, there are a few unfinished “novels” about centaurs and vampires from my middle school days (someday I hope to finish “Rodney the Vampire,” a gritty kitchen sink drama about Rodney the Vampire trying to adopt his girlfriend’s daughter from a previous marriage). I also majored in creative writing in college, so it’s too late to back out now. Since graduating, I’ve been working as a professional freelance writer, as well as writing a play and several sad comics. That’s a hard one. If we’re talking about comics, then Neil Gaiman’s Sandman is one of my absolute favorites. I also love Brian K. Vaughan’s Saga, and everything about Kate Beaton. If we’re talking about writers in general, then I can’t possibly pick a favorite. Chimamanda Ngozi Adichie, Betty Smith, James Joyce, Fredric Brown, Douglas Adams, Charlotte Bronte, Sarah Ruhl, Jasper Fforde, and Kurt Vonnegut are the first few who come to mind. I’m also a huge sucker for William Shakespeare. I think for me, it really varies based on the type of project. If it’s an article or an essay, I start with research. If it’s a play, I mutter dialogue out loud to myself to get a feel for the characters. For comics it’s a lot of doodling and trying to think visually. For prose fiction, it’s more of a “write a bunch of garbage and then try to find one salvageable sentence” kind of thing. Of course, no matter what the project, my writing process eventually boils down to chaining myself to my desk and blasting The Prince of Egypt movie soundtrack all night until I finish the damn thing. 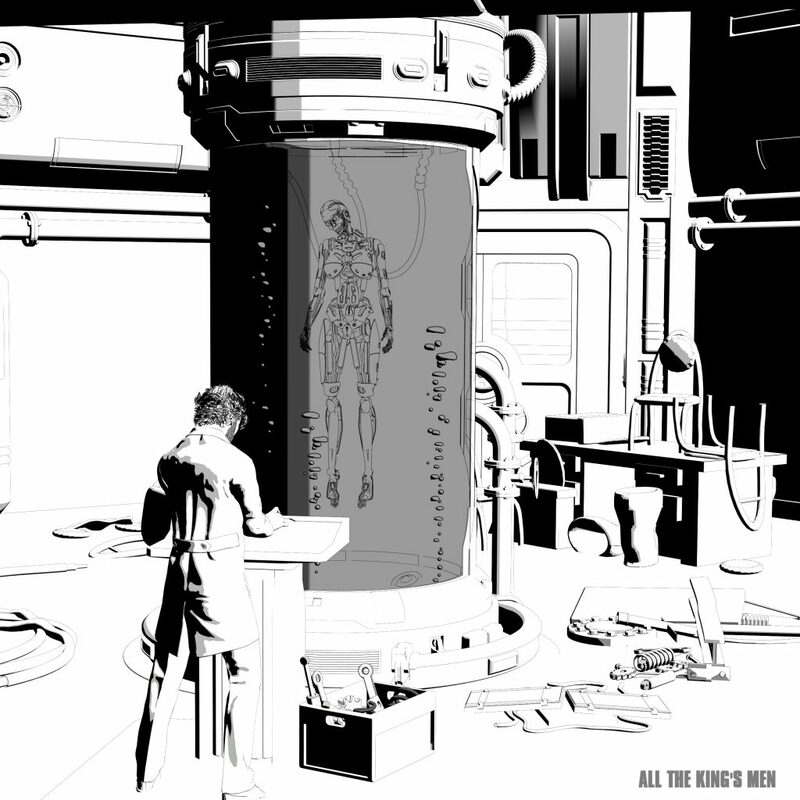 Your story in All The King’s Men is a comic entitled Remission of Her Doom, a story derived from the legend of Orpheus and Eurydice. Can you tell us what inspired this retelling, and what it means to you? Well, I’ve always been a huge mythology nerd. And the Orpheus and Eurydice myth seems to crop up in a lot of my favorite literature: Sarah Ruhl’s Eurydice and Neil Gaiman’s Sandman, for instance. It’s a myth that perfectly embodies longing and loss. So when I read that the All the King’s Men anthology was based around the theme, “sometimes it’s impossible to mend what has been broken,” I immediately thought of Orpheus. He’s trying to bring his beloved Eurydice back to life. It’s the ultimate attempt to mend something that’s been broken, and it’s ultimately futile. We empathize with Orpheus, because he’s acting out of love. But we can also see how his actions can be interpreted as selfish: he has this incredible musical gift, and he uses it for the dead rather than the living. He’s not trying to bring Eurydice back for her own sake, he’s trying to bring her back because he misses her. He doesn’t consider what Eurydice might want. That struck me as an interesting dimension to explore. In addition to your work in comics, you have founded a non-profit theatre company called Fat Knight Theatre. Can you tell us about that, please? Are you producing anything at the moment? Co-founded! 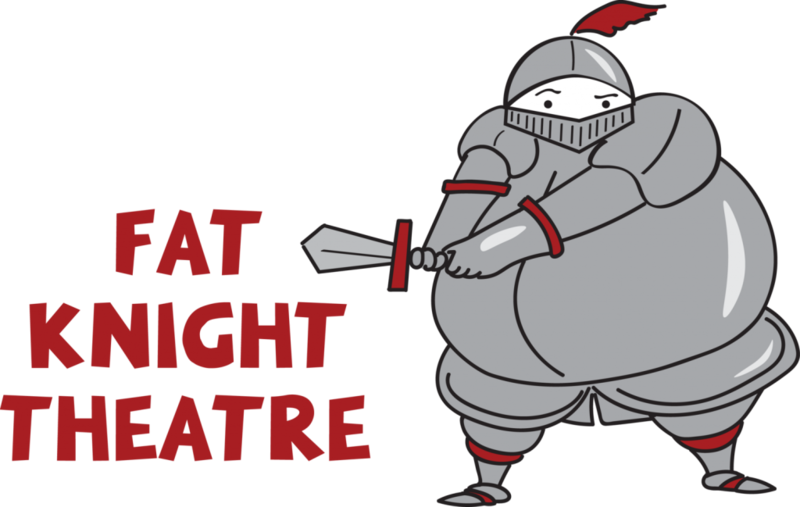 The whole idea of Fat Knight Theatre is to create, discover, and rediscover great characters in drama, history, literature and modern mythology. 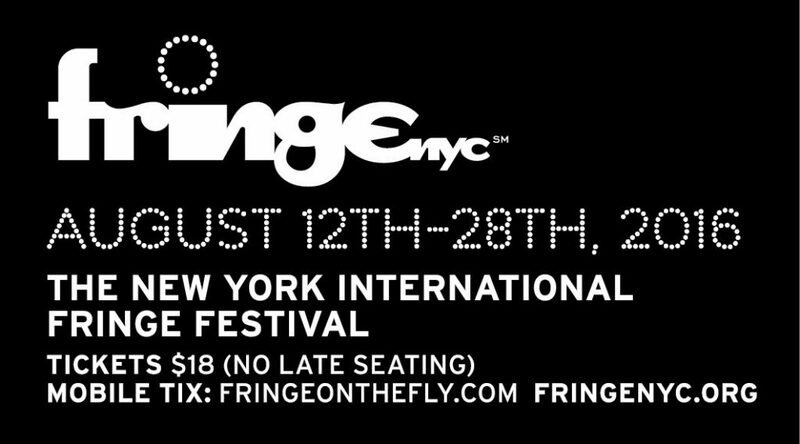 We’ve been around since last fall, and we’re currently producing a play for the New York Fringe Festival this August. 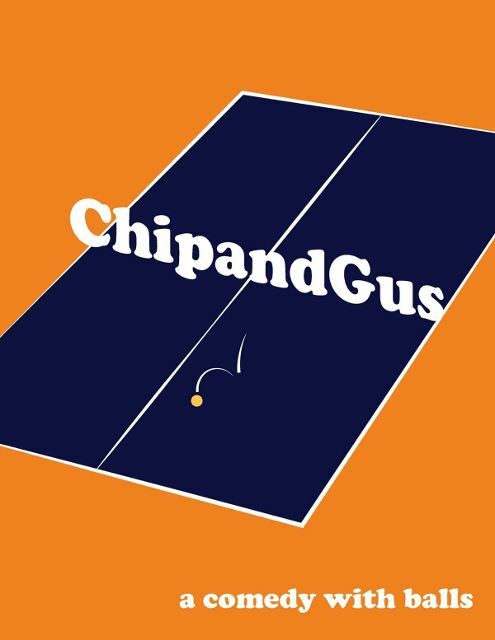 The play is ChipandGus, and it’s guaranteed to have 100% more ping pong than any other play at the Fringe. It’s a fast-paced comedy with balls, and it’s been a lot of fun to work on. What’s the most rewarding thing about working in theatre? Theatre is ephemeral. It’s live, it’s happening right now, and then it’s over. To be up on stage, or even in rehearsal, and be truly in the moment is just incredible. To see your sad, weird script come to life in the hands of talented actors is equally incredible. And you’re right there in the room with your audience, sharing the experience—theatre is alive in a way that makes it different from all other art forms. What’s the greatest challenge you’ve faced working in theatre? Oh boy, everything! Everything is a challenge. Finding people to actually pay you for acting or playwriting is a challenge. Having no job security is a challenge. Figuring out how to get a ping pong table up four flights of stairs for your Fringe show is a challenge. And if you’re an actor who happens to be a woman, there’s a ton of competition for very few roles. Diversity in theatre is getting better, but we still have a long way to go. You’ve got to love theatre to the point of a compulsion to be willing to put in all that hard work for little or no pay. You’ve also done some work in webcomics. Do you have anything on the go at the moment? What’s your favourite thing about working in this format? While in school, I wrote and illustrated an autobiographical comic strip for the Oberlin College Blog. Right now I have something in the planning stages (another mythological adaptation, actually), but it needs a little more time before it’s ready to see the light of day. My favorite thing about webcomics is the accessibility and the absolute creative freedom. Anyone with an internet connection can read webcomics, which makes it so wonderfully accessible, especially when compared to other types of art (looking at you, theatre). And as a creator, you’re not beholden to the limits of pages or panels. You have a lot of control over formatting, and there’s so much potential for making webcomics interactive. It’s sort of like having an infinite budget, because all the special effects are free. I just held a first reading for a play I’ve been working on, and hopefully that will have a future in the next few months. I’ve also been planning a mythology-inspired webcomic, which is still in its embryonic stages right now. And I’ve taken a few sketch comedy classes at the Upright Citizen’s Brigade Theatre, so that’s something I’d love to explore more in my apocryphal free time. Well, I’d love to be earning a comfortable living from writing and theatre, and maybe even be able to afford rent in one of the outer boroughs of New York City. I would also like to see myself working across a variety of platforms (comics, plays, books, podcasts, popsicle stick jokes, etc). I’d like to be a better writer than I am now, because it would be a bummer to peak at twenty-three. And most importantly, I’d like my writing to resonate with at least one person. Maybe even two people. Of course, I wouldn’t say no to fabulous success. In an ideal world, I’d like to be a washed up has-been by fifty, so I’d better get a move on. We here at ATKM HQ think Charlotte is a writer worth following.